Philippe is a Managing Director at StratX. 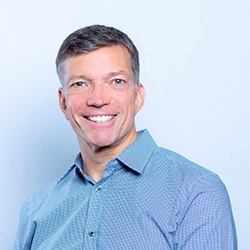 He is responsible for the enterprise activity of the Boston office where he co-creates leadership development initiatives for corporate managers that build capabilities in strategic agility, innovation and customer centricity. Philippe is particularly proud of his achievement in leading a cross-regional team who designed and developed a series of experiential learning initiatives focused on strengthening the commercial capabilities of one of the most admired global B2B companies. Starting in the US, the initiative was rolled out worldwide, improving the capabilities of close to two thousand marketing, sales and business general managers. Phillipe’s colleagues can attest for his passion for business, his dedication to providing the best possible client experience and always delivering projects with the end goal in mind – creating business impact. The most gratifying part of Philippe’s role at StratX is facilitating client engagement where he sees participants engage and learn from his projects. Prior to StratX, Philippe worked as a consultant and engagement manager with strategy consulting firms Gemini Consulting and Roland Berger. During his career, Philippe has been lucky enough to visit more than 30 countries. He’s lived in five, with one of them being Germany, where he worked with the Commercial Department of the French Consulate in Hamburg and led initiatives designed to expand bilateral trade in the electronics and electrical industries. In his spare time, Philippe enjoys road and mountain biking, skiing and visiting his children who are scattered between Europe, the US and Latin America. Originally from France, Philippe used to live on an island on the Seine river outside of Paris and had to commute to the office by boat for one year.